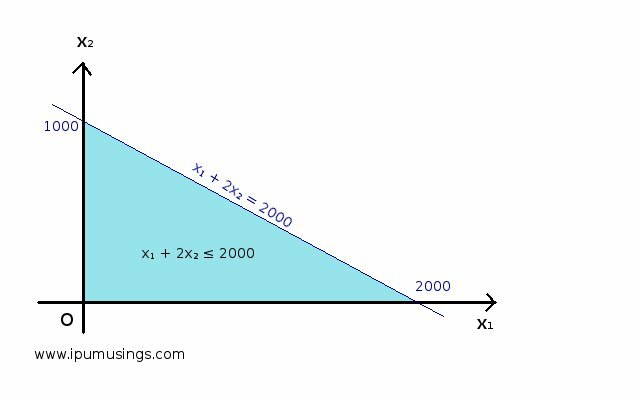 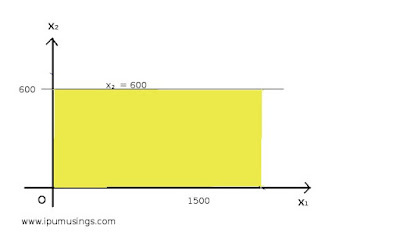 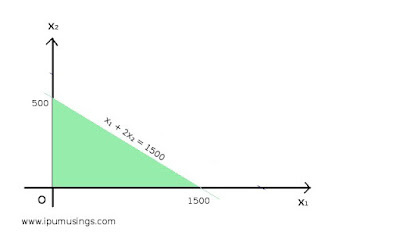 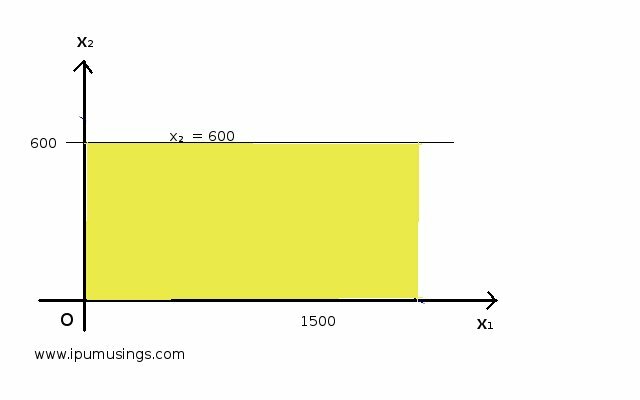 Clearly any point below line x₁ + 2x₂ = 2000 satisfies x₁ + 2x₂ ≤ 2000. 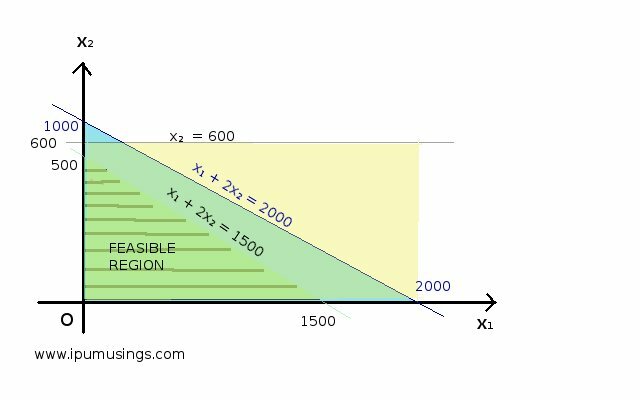 This region is coloured blue here. 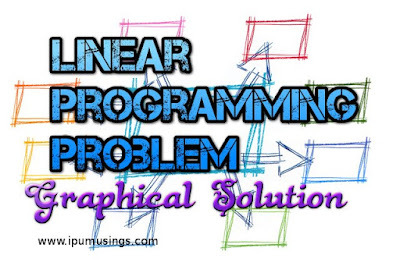 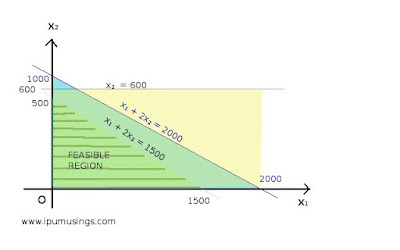 ② Find the feasible region or solution space. 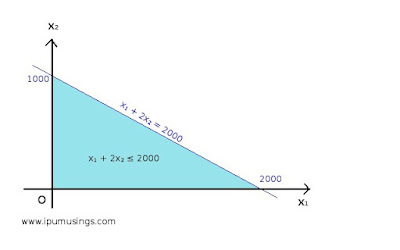 As shown in figure any point in the shaded area is a feasible solution to the given LPP.